The scenario seems impossible. 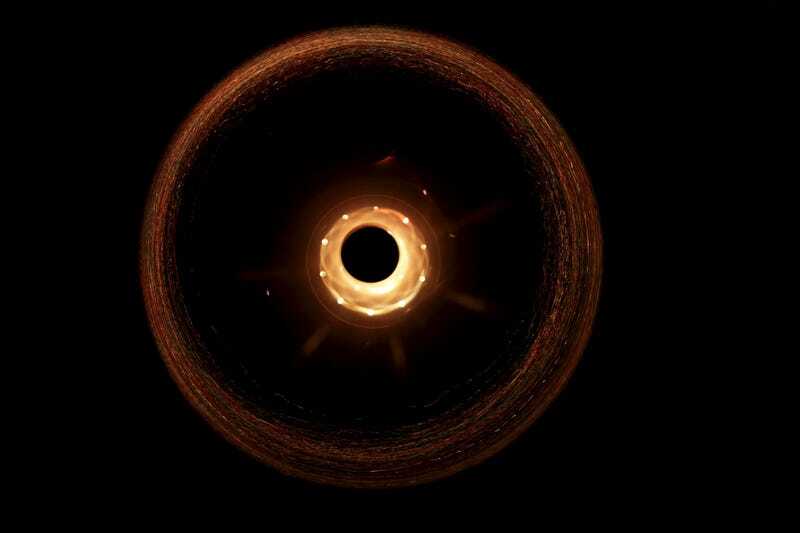 A black hole randomly passing into our solar system. If it happened, it would obviously be bad, which is why it’s the perfect subject for a big Hollywood disaster film. But will Hollywood’s representation match the reality? An astrophysics researcher told us, for the most part, yes. To see how accurate that description is, we emailed Nick Stone, an astrophysics researcher at Columbia University. “I would say that two out of three of the disasters in [that] quote are actually quite plausible, provided we accept the premise of a stray black hole passing through our solar system,” he said. Stone explained there are a bunch of variables that would change the actual effects on Earth, such as size of the black hole and distance from the solar system. A “supermassive” black hole is so big it would just kill everything, so odds are the film will show a “stellar mass” one. Then there’s the worst case scenario: if the black hole was actually very close to our planet. “If the black hole passes extremely close to the Earth, its tidal forces could crack the Earth’s crust, creating the supervolcanoes mentioned in the press release. However, if the black hole comes that close, it is quite likely Earth would be ejected from the solar system, causing even bigger problems as the planet freezes,” Stone said. Maybe we know how the movie is going to end. Peyton will direct Black Hole from a script he co-wrote with Philip Gawthorne. However, when exactly the film would happen is up in the air. The director is about to make Rampage with Dwayne Johnson, is developing Journey 3 with Dwayne Johnson, and is working on a San Andreas sequel with, you guessed it, Dwayne Johnson. This maybe one of the people who’ll save the Earth in Black Hole would be played by Dwayne Johnson? Seems like a possibility. “I hope [Black Hole] will be a wholly original franchise-starter that is just the beginning of a much bigger story,” Peyton said. Does that mean, like, more than one black hole is going to appear? Can you actually defeat a black hole? Not even an expert can answer that one.